The epitome of of the historic bathroom tub has to be the clawfoot tub. It’s ubiquitous with historic homes and is the central focus of almost any bathroom, since it is usually the biggest element. Some of us are fortunate enough to have the original antique cast iron claw foot tubs that came with our house, but other homes have lost their original bathroom fixtures to the remuddler. 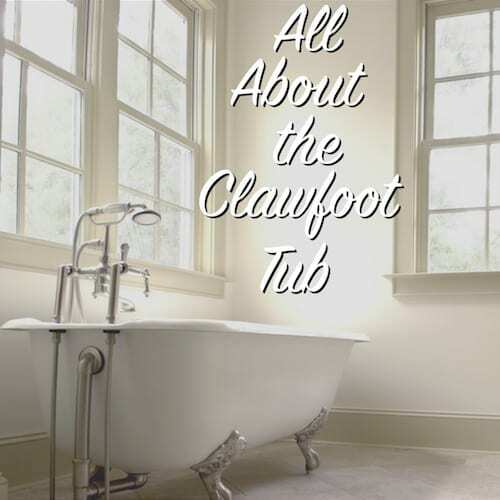 Whether your house has your original tub which is in need of repair, or you are looking to find an appropriate replacement, this post will help you with all aspects of that all important part of your historic bathroom- the clawfoot tub. Before indoor plumbing, bathtubs were fairly crude and light weight. They were made to be pulled out when a bath was necessary and put away for months at a time since bathing wasn’t an everyday occurrence in the 19th century, leaving most of us stinky bulls. The simple design of these early bathtubs was usually tin, lead, or copper lined wood boxes that were filled with buckets of water and no drains. The idea of indoor plumbing was fast developing on a municipal level in cities like Philadelphia, which was the first city to switch from hollowed out trees and terra-cotta to cast iron pipes in 1804. Other cities began following suit soon after and the trend toward modern indoor plumbing was cemented when in 1829, 26-year-old architect Isaiah Rogers, shocked the world with his Tremont Hotel project in Boston that featured all indoor plumbing. A full 4 years before The White House had even gotten plumbing! Indoor plumbing, like most new inventions, was first reserved only for those who could afford this new luxury, but it didn’t take long before the general public was able to enjoy the benefits of better hygiene. The clawfoot tub had its origins in mid 18th century Europe, where the claw and ball foot design was initially created in Holland and soon spread to England and the states after that. The first clawfoot tubs were often the metals I mentioned earlier with painted exteriors that would peel and chip due to the expansion of the tub when water was added. This was a common annoyance and one that hindered full acceptance of the design until the 1880s, when a Scottish-born inventor named David Buick created a process to bond porcelain enamel to cast iron. With the process to securely bond porcelain enamel to cast iron, the clawfoot tub had hit its sweet spot. The costs of indoor plumbing were dropping precipitously as were the costs of these tubs bringing into the mainstream. Combine that with the increasing interest in soap and regular bathing, and the clawfoot tub was poised for explosive growth, which is exactly what it did from the 1880s into the early 20th century. Showering was not yet a regular occurrence and was largely used for people with specific ailments like kidney problems. The bathtub was the primary method of personal hygiene until the mid-20th century, when American tastes began to switch toward showering rather than bathing. In their heyday, clawfoot tubs began to get more varied with greater options and designs to accommodate their ever expanding market. New sizes and shapes came on the market quickly as more manufacturers jumped on the bathing craze. In the next section, I’ll cover the different styles that were in vogue. Most clawfoot tubs can be classified into five distinct styles. There are slight variations and size options in each style that can create a slightly different feel for each unique tub. 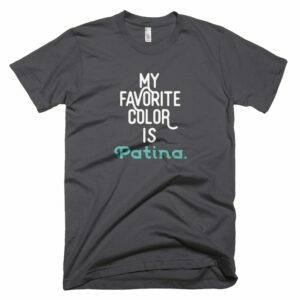 See if you can determine the type you have! This standard rolled rim clawfoot tub has a flat end with a drain and faucet on one side with a rounded end on the opposite side. It fits nicely with the flat side up against a wall and comes in multiple lengths to accommodate smaller bathrooms or smaller people or larger tubs that can fit a 6′ plus person comfortably. The classic style tub allows an easy addition of a shower to one end of the tub so you can have your cake and eat it too. The double ended clawfoot tub looks very similar to the Classic style but rather than having one flat and one rounded end, it has two rounded ends. This almost always results in a tub design where the drain and faucet are located in the middle of one of the sides of the tub. This style is better set in the middle of the wall rather than up against the wall and are more comfortable for bathing (especially for *ahem* two people!) The central location of the faucet makes setting up a shower a little less conducive. I’m not sure if the name comes from the fact that this tub looks a little like a slipper or because one side looks like something you can slip right down into the tub from, but the slipper is a popular style that adds a little flair to the standard clawfoot tub. On a slipper tub, one side of the tub is flared up and out to make it more comfortable for soaking. 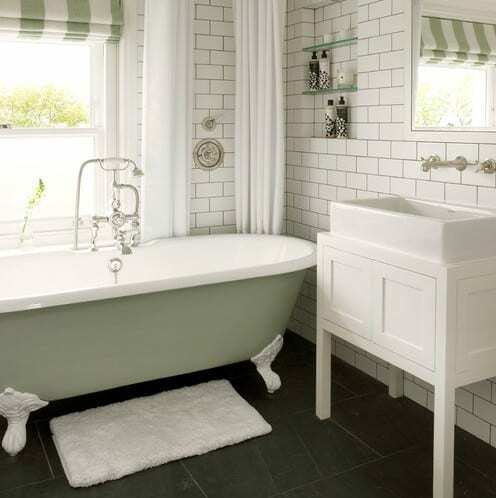 Like the Classic style, this tub has the drain and faucet at the foot of the tub, making it a good option to put up against a wall or add a shower to. Why have just one slipper when you can have two, right? The double slipper adds that fancy little flare top to both sides of the tub and just like the Double Ended tub, it moves the drain and faucet to the center of the tub on one side. This one is for ultimate luxury and soaking with your favorite partner! Okay, so, this one is not technically a clawfoot tub, but since it is so close and often included in this family, I felt it needed mentioning. 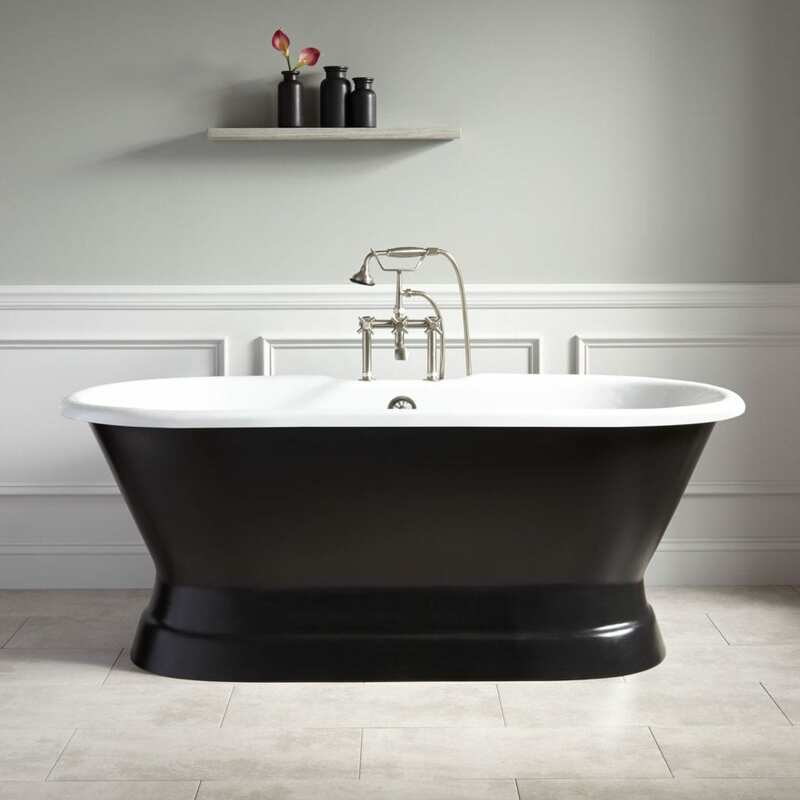 The pedestal tub is usually either a Double Ended or Double Slipper style clawfoot tub with the feet removed and placed on a solid pedestal base. Aren’t all clawfoot tubs made from cast iron and porcelain? Not so much. Sure, that is the most popular option, especially historically speaking. Nowadays, new materials have been introduced to make tubs lighter and less expensive as well as provide greater variety. 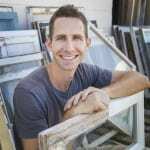 If you’ve read more than one post on this blog, you can probably guess how I feel about going with a lesser quality product, but I’ll let you make up your own mind if you are shopping for a new tub for your old house. The classic, and still my favorite, is the traditional porcelains enamel coating on a cast iron tub. It is extremely resilient and long lasting, and the finish can easily be restored again and again through reglazing, which I’ll discuss a little later. The bad news? Cast iron tubs are heavy and difficult to move. The good news? If you’ve already got one in your house, it can be restored for much cheaper than buying a new tub and you don’t have to move it! One more thing about cast iron tubs is that they don’t flex or move when water (and people) are added to them. This isn’t as big of a deal with clawfoot tubs as it is with built-in tubs, but there is something to be said for having a steady, well-built tub that will last a couple centuries. 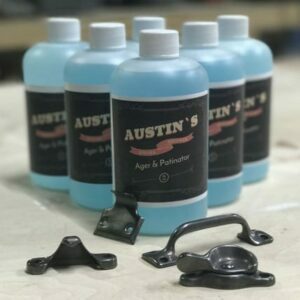 Why would you choose an acrylic tub when you could have cast iron? There are a few reasons. First, acrylic tubs are much more affordable that any other material. Second, they are super light and easy to move. This light weight can also be a huge help when installing it on the second story of an older home that may otherwise have required additional framing of the floor assemble to accommodate a weighty cast iron tub. If an all white bathroom isn’t your thing, a copper tub (usually a pedestal) might be the perfect fit for you. It is is both historically accurate for pre-1920s bathrooms and very popular right now. Most are sealed to keep the copper from turning green with use, but keeping it clean is important as it can show wear in different ways than a porcelain tub. One of the great things about old porcelain clawfoot tubs is their ability to be restored and repaired. 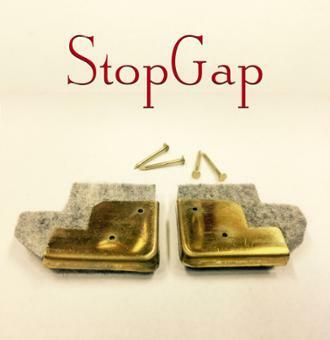 Small chips can be fixed easily by any DIYer or homeowner with patching kits that are readily available. I posted about how to use some of these DIY repair kits here so you can see the process. For rusted or seriously worn tubs, it’s best to have a professional reglaze your tub. 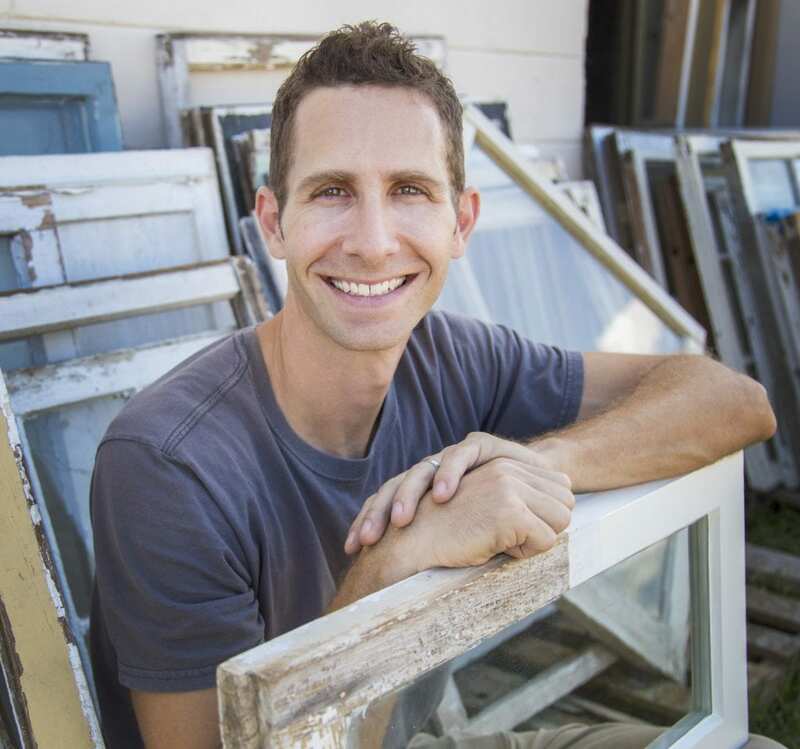 The materials the pros use are head and shoulders above what the rest of us can do. Don’t go buy white enamel spray paint and think you’ll have an attractive tub again. The reglazing process is usually done on site without having to remove the tub and is finished in just one afternoon for around $300-$400. A reglazed tub can last a good 10 years with little care other than regular cleaning before it needs to be reglazed again. The great thing about the process is that it can be done again and again as needed to extend the life of your tub indefinitely. I’m not gonna lie, trying to include all the options of clawfoot tub fixtures in this blog post is impossible. You could fill a catalogue hundreds of pages long with the different styles, but I wanted to give you some of the major categories for reference so that you can start asking for the right stuff when you do Google searches and talk to sales people. Below are the major types of fixtures you may be considering for your clawfoot tub. 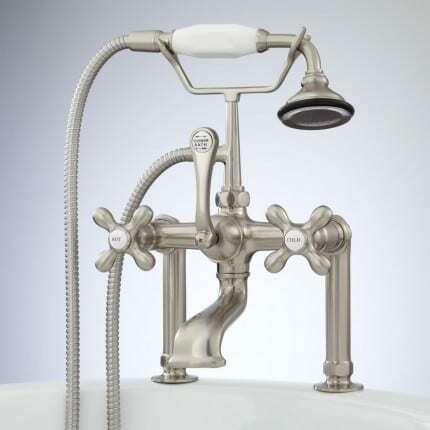 There are traditionally three different styles of faucet mounts for clawfoot tubs. Each of these have scores of different finishes and design, but they will typically fall into these three categories. Tub/Wall Mount – This mounts on the inside of the tub against the tub wall where there are typically holes drilled for the plumbing penetrations. The Classic style uses this type of faucet most commonly. Historically, this style is very common. Deck Mount – A more common style for modern clawfoot tubs, the Deck Mount attaches to the rim of the tub where the pre-drilled plumbing connections are meant to be installed. This is more common of Double Ended or Double Slipper tubs, but can be seen on other styles as well. Freestanding – The Freestanding faucet is installed when there are no supply line penetrations in the tub and the rigid lines just come straight up from the ground and hang over the edge of the tub where they can be accessed. 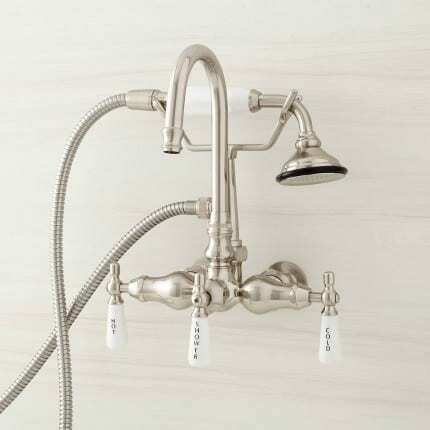 This style faucet can work on any clawfoot tub that has no supply holes drilled. There are two main style faucets for most clawfoot tubs. Both can be adapted to replace the handheld shower receiver with a shower pipe and shower head if you wish to have a more traditional shower experience. Telephone Faucet – The telephone faucet is aptly named because its design with the handheld shower attachment looking just like the receiver of an old style telephone. Sorry if the design is foreign to you millennials! Gooseneck Faucet – Similar to the Telephone Faucet, but rather than having a small undersized tub spout this style has a large gooseneck faucet which is more classical in its design which makes it my personal favorite. What the conclusion? Clawfoot tubs rock! Seriously, they have been around for well over a century and have proven themselves to be the king of the bathroom and in my opinion the pinnacle of tub design. 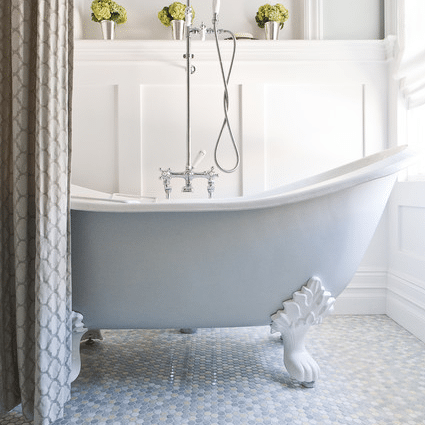 They may not always be the most practical tub, especially if you are planning to age in place since getting in and out of a clawfoot tub requires a good deal more flexibility than a zero-clearance shower stall, but the gorgeous design has rarely been challenged. 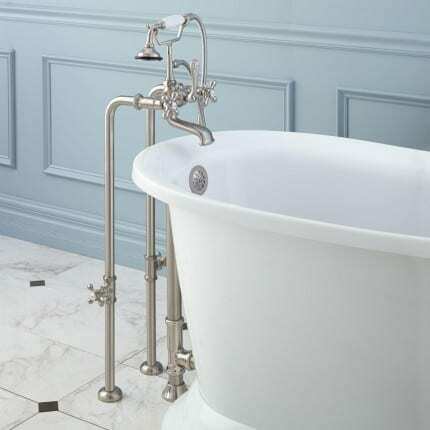 If you’ve got an original clawfoot tub, then consider keeping it and restoring it if it needs. You’ve got a premium piece of history that makes your bathroom something unique and can last for decades more. I am working on a tub I got handed down to me, and it is coming along great! The only problem I am having is that I cannot figure out what metal the feet are made out of! Lol! It is an L. Wolff from 1885! One of the earliest i have seen yet. Please any help would be great! Its all original plumbing and feet. Just would really love some info on it!!! If anyone near Ft. Lauderdale is looking for a vintage claw-foot tub, maybe Scott could pass along my email I have 3 and they’ll be practically free, depending on what you want them for! Hi, are the tubs still available???? Yes. I’m just getting ready to put them on CraigsList. Let me know. I know finding them at an architectural salvage yard is a great way to go. They usually have a bunch. There are often feet without the tub available to find, so you needn’t have any unnecessary guilt. Diane, You can buy a faucet that balances hot and cold water. I didn’t get one but you can. We bought a Sign of the crab by Strom Plumbing and it is gorgeous. Ours has a shower plus hand shower and tub spout. This is a great post, Scott. We have our home’s original 1924 tub. The interior could use refinishing. I repainted the exterior and stripped and repainted the feet. It was so satisfying to strip the many layers of paint on the feet and see the detail for the first time. Yes, there was a claw and a ball, but now I could also see the talons and details on the toes. That’s the part of restoration that I find especially rewarding. Great point I didn’t even think of! Our tub was leaching lead from the long scar where the porcelain had worn through, apparently due to minerals in the water. This tub is over 100 years old. 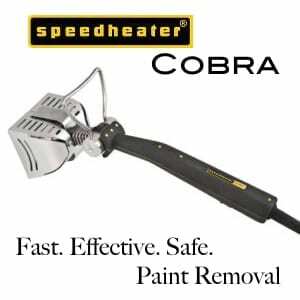 We had it refinished with a ploymer in our home. Our current problem is that our plumber tells us the faucet does not allow for balancing water supply such that when the hot water is on and we turn on another faucet the hot water reduces uncomfortably. The faucet blends hot and cold.